Problemo solved. I need this cookbook!! Pinned! You had me at Bang Bang! This looks amazing, but I will have to make this with chicken. I’ll let you know how it turns out! What a delicious “skinny” dish!! And I loveee the colors!! Looks perfect. Love Gina. Love her book. Totally making this! I am a non-seafood eater, but my S.O. will loooooove this. He’s addicted to the Bang Bang shrimp from Bonefish Grill. Thanks for sharing! If light recipe that includes the words “bang bang” I instantly want it! Gorgeous. Hahaha, “Bang Bang!” I cannot wait to try this. THough to be honest I’ve been cooking very little lately. Now I’m inspired to start back up! That sauce sounds TO DIE FOR. I love that it’s a lightened up version too! I can’t wait to try this! 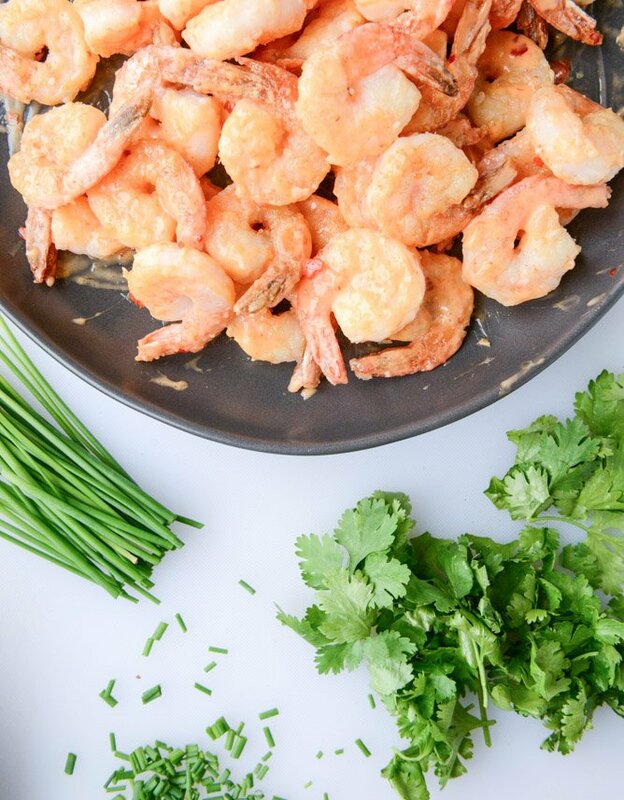 I am not a fan of shrimp (/seafood), but I freakin’ love the name of this recipe. BANG BANG. Gets your excited to eat! YUM!! 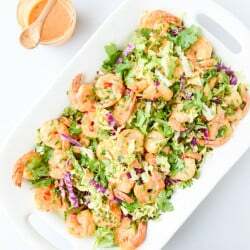 I’ve never actually had bang-bang shrimp … my husband is allergic to shell fish, do you think a similar sauce would taste okay on chicken? or maybe some sort of other fish instead? Easy, tasty AND gives a pretty presentation. Amazing! Would Greek yogurt work OK in place of mayo? It comes tomorrow and I can’t wait. I want all of the skrimps and sauce and slaw IN MY FACE. Sounds delicious. Can’t wait to try it out. I’m not really a big fryer (kind of afraid of burning down my kitchen) so this is perfect! so pretty! making this week for sure. thank you for sharing! so amazing! Love how easy and beautiful this recipe is! Sounds perfect. Love Bang Bang shrimp! I love anything with shrimpage!! I LOOOOOVE Bang Bang shrimp, and oh my goodness this looks so completely and totally scrumptious. Love YOU Jessica!!!!!!! And love your review, you always make me laugh : ) SOOOOO happy you loved the shrimp!! As I was reading this I was all like, “Why haven’t I ever had bang bang shrimp?” and then you said it “mayonnaise” *shudders*. I just can’t handle the stuff. Never have, never will. I might have to try this recipe out, but use greek yogurt instead. try half sour cream with half greek yogurt for a better taste experience. This loos delicious, but one thing I would do is remove the tails! Who wants the tails incorporated into a salad that you have to keep removing (messy) as you dine? Not me. Looks so tasty and love that it’s not super deep fried! Wowza. This looks amazing! I love anything with shrimp in it! Holy cow (or should I say shrim?) lol! This looks absolutely amazing, off to purchase the book! This shrimp sounds amazing! I love how simple it is — and super flavorful besides. Yay! By the way your cookbook is amazing, I love the photography too. Amazing job! SO good! made it last night, boyfriend and i both loved it and i brought it for lunch today, also delicious as leftovers. thanks for the recipe! This looks amazing! I can hardly believe it’s a light, healthy meal too! Nom, nom, this looks so delicious! Um, yum! I’ll definitely be trying this. If I ever write a cookbook, I am going to enlist you to be my marketing rep.
You are so enthusiastic. BUT from this recipe that enthusiasm is not misplaced. I had to pin it. Delicious—love the sauce. Ummm, yum! This looks absolutely amazing. 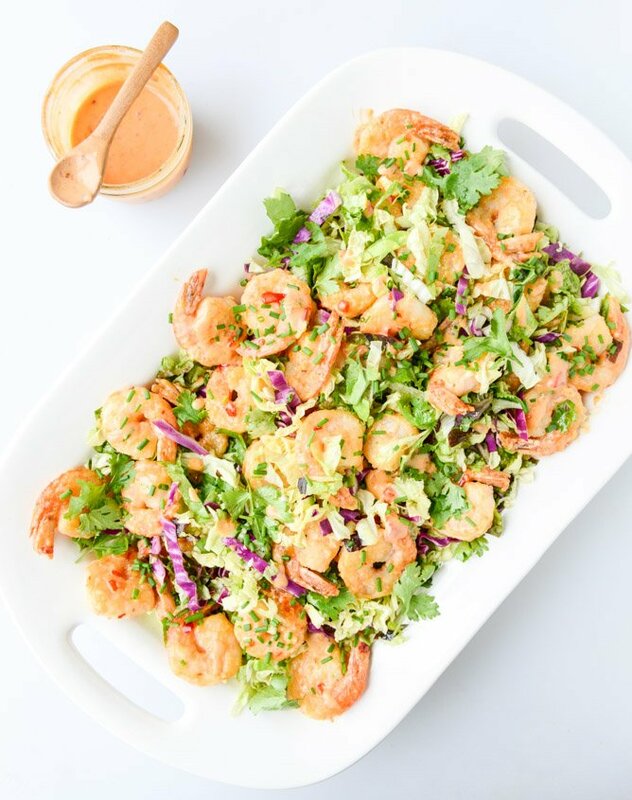 I love bang bang shrimp so much I definitely need to try this recipe out asap! Thank you for this! My hubby and I LOVED it! Loved that it’s healthy AND full of awesome flavor!! couldn’t find golden balsamic????? Found white and the normal dark help? This dish is absolutely Delish & Super Duper Easy to throw together!!! Definitely one of our favorites! !